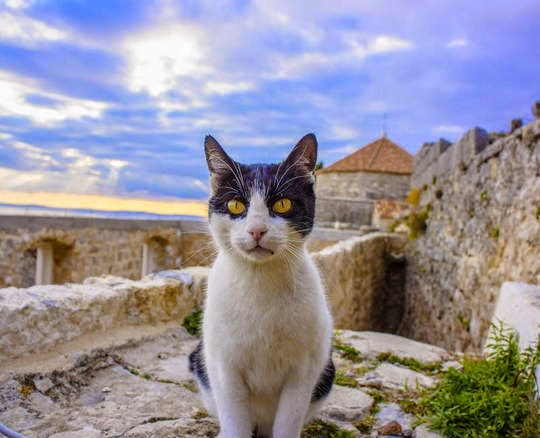 Traveling cat spotted at the medieval Fortress Of Klis in Croatia. 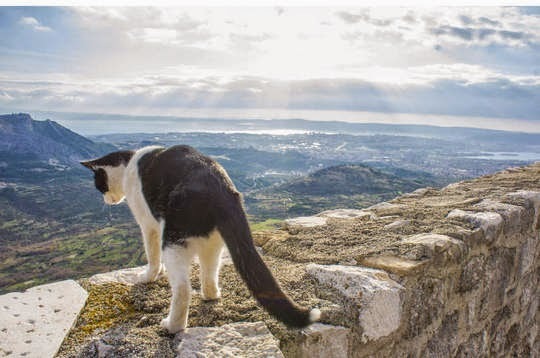 Perched on an isolated rock above a village bearing the same name, the Fortress of Klis was the seat of many Croatian kings and has been lost and re-conquered several times. I love visiting to see the cats, they are all so regal! Seriously beautiful captures. The first one is just stunning! Thank you for visiting and sharing at http://www.image-in-ing.blogspot.com/2014/11/i-miss-this-kind-of-weather.html. I always look forward to your visits. It's fun to look at what you've been seeing through your lens. He is truly King of the Castle! Aww! that last photo is so cute heheh! Such a sweetie with such pretty eyes! 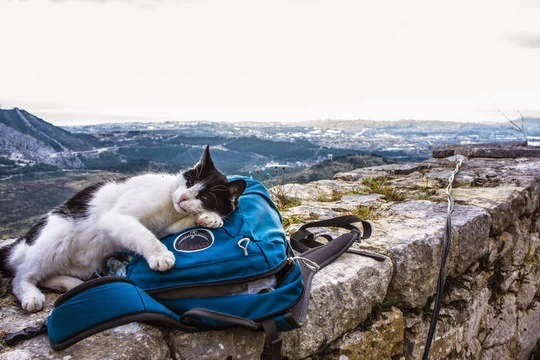 And that cat has conquered the backpack! Very cute and gorgeous photos. Love every one of these gorgeous pictures! The last one is total AWWWW! I love the sky in these shots. I love the last one especially too! He looks so cozy! Gorgeous kitty. Oh and BTW, I just love your header! It is paw-sitively paw-fect! Wow, that kitty sure has an awesome view! And he is very handsome too. Les yeux ... il a des yeux absolument magnifiques. J'aime tellement les yeux ambrés. 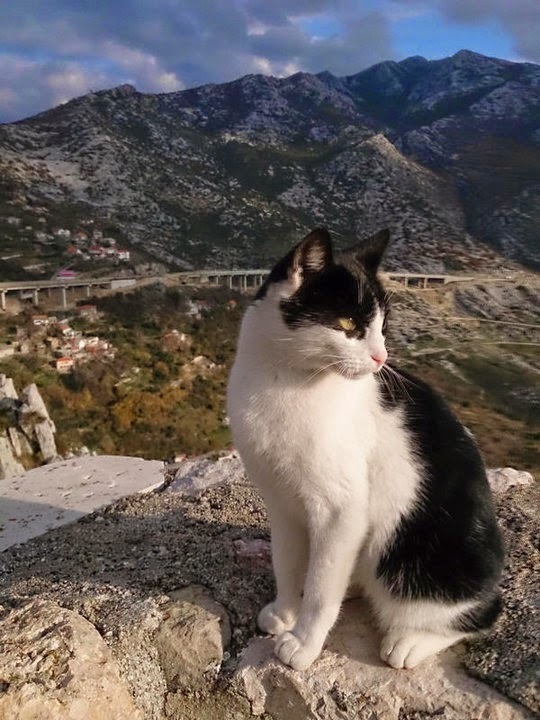 Il est le roi du monde ce chat sur ses remparts. These are stunning photos and that last one melts your heart! gawjus kitty, but as wiff most of these stweet kitties, e fink hims needs sum gwoceries.